Hunter at Kotel seeks Shabbat dinner guests – J. If there's one thing Jeffrey Seidel has learned living in Israel, it's how to focus. Most days he'll be found in the plaza across from the Western Wall in Jerusalem. He watches the comings and goings of people with a scrutinizing eye. Chassidic Jews, he's not interested in. Christian pilgrims, not interested. Older people on missions to Israel, not interested. Ordinary Israelis, not interested. Seidel has a specific target and, like a hunter, he waits for them to come within reach. Once they do, he pounces. Before the unsuspecting visitor knows it, Seidel is in front of them. In a clear voice, he asks, "So, do you have a place for Shabbos dinner?" That's been his modus vivendi for the past 14 years. 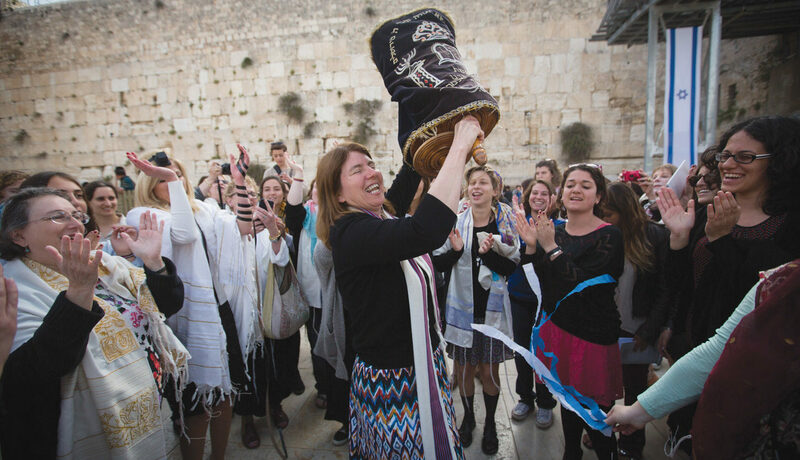 The 37-year-old Skokie, Ill., native, who graduated from Ida Crown Jewish Academy in 1975, is well known to many young, secular Jews from around the world who happen upon him at the Kotel. The religiously observant Jews don't interest him, he said, because they don't need his "help." He targets the unaffiliated to provide them with a glimpse, even if only for one night, into Orthodox Jewish life. Many who participate, he said, have never observed a traditional Shabbat before. "I've got an eye for it," he said of scanning the crowd for the young and secular. "If I see a Chassids or church groups, I check them off my list. I want the overseas students at Hebrew University, or those visiting Israel for a few weeks. I scan the field and when I see them, I'll walk over to them — I'll walk up to anybody — and ask in a polite way if they are Jewish and if so, if they would like to have a Shabbat dinner." While he doesn't say what his success rate is, during the summer he places some 250 young people at dinner tables throughout Jerusalem on Shabbat. The hosts are nearly all immigrants from English-speaking countries, to both lessen the chance of communication problems and to give the young people a better opportunity to relate to them. "People know if they live in the Jewish Quarter [in the Old City], they might get a knock at the door," he said. "The average person I set up is not very religious. They've gone to Sunday school, had a bar mitzvah, that's it. Their understanding of Judaism is very limited," Seidel said during a quick interview between meetings in Chicago to raise funds for his program. Seidel got involved in his line of work, he said, because he "saw the need. I wanted young people to get more involved in Jewish life. Most look at Orthodox Judaism as something strange, something that is completely different from what they are. I want them to see that it's part of our heritage. To know that their grandparents or great grandparents were probably Orthodox Jews who lived a life very similar to those they spend time with." The volunteer families, who don't receive any compensation for hosting the visitors, "want to open up their house to young people. They don't do it to beat them over the head with religion. They are accepting of where these people are at. They know you can't make a person religious overnight." But if he can't do it overnight, he at least hopes it's the start of a religious re-awakening. "The way I see it, we are in the midst of a spiritual holocaust, and something needs to be done," he said. "The personal attention they get spending Shabbos with a family is the kind of thing that can change people around. That one Shabbos can make a difference." Seidel, who is director of the Jewish Student Information Center not far from the Kotel, sponsors excavation tours of Jewish sites, tours of the Jewish Quarter, religious classes and helps visiting students observe holidays such as Passover. The center also publishes a Jewish travelers guide, providing information on similar Shabbat host programs around the world. Examples of his modern marketing techniques for traditional Judaism are seen on kiosks and billboards throughout Jerusalem. "I used dancing bears and `steal your face' [two symbols of the musical group The Grateful Dead] on our posters. It gets their attention. I'm working on something now using a picture of, what's his name, Steinfeld? No, Seinfeld." In addition to the dinners and tours, he also brought 1,700 young people to visit yeshivas, exposing them to another level of Jewish learning. For some it's their first and last visit, while others, he said, return to study. "There are a lot of people out there looking to learn and experience Judaism firsthand. They've only heard about it, and now they want to see it for themselves. Whatever we can do to help a young person out, we do." Fridays, particularly during summer, he admits, can be a bit hectic. Never without his cellular phone, he's arranging host families to the very last minute before he heads to his French Hill apartment for Shabbat dinner with his family. Seidel, who dropped out of school while pursuing a doctorate in psychology in the United States to move to Israel, can't think of anything else he'd rather be doing than targeting young Jews. "I felt the need was there, so I dedicated my life to it. Getting someone involved in Jewish life makes it all worthwhile." Abandoning the chance to be known as Dr. Seidel doesn't seem to bother him. "I'd rather be known as the maitre d' to Shabbos."